MadeIt is an Australian platform for handmade sellers from sewing to painting to jewellery making to paper craft to digital design and everything in between. Founder and curator Bec Davies came up with the concept for a site featuring Australian independent artists, crafters, makers, designers, and creatives and commenced operations in 2007. Based in Yamba, New South Wales, Bec, Jayc and their team support over 2,000 Australian stores listed on MadeIt. This week’s MadeIt finds are some of my favourite home decor items. These are items I’d decorate our little flat with in a heartbeat! 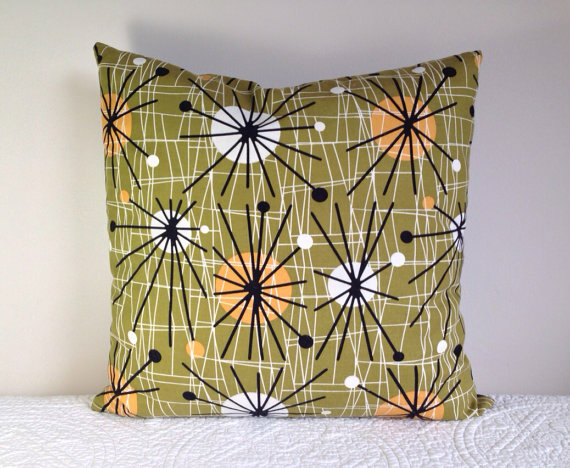 Star bursts on a cushion cover, what more could my couch need!? My couch is a modern brown microfibre chaise, and this cushion would work perfectly with it. I’d get one for each end of the couch too. This gorgeous cushion cover is currently on sale from Decky Pop. Hollie Flavour test: handmade, vintage/retro inspired, goes with existing decor. Did you see the 6-pointed star that these star bursts create on the plate?! I just noticed it now and love this upcycled cake stand even more! I wonder if Domum Vindemia would throw in the gorgeous doily and linen too for me? 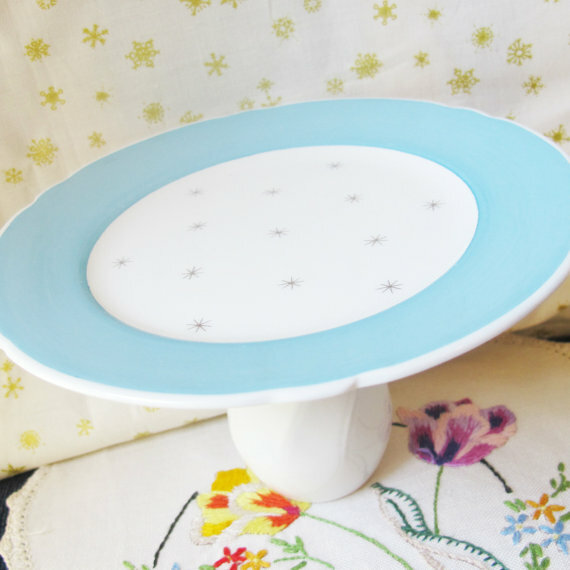 Hollie Flavour test: handmade, star bursts cake stand, blue, vintage, vintage inspired, upcycled. 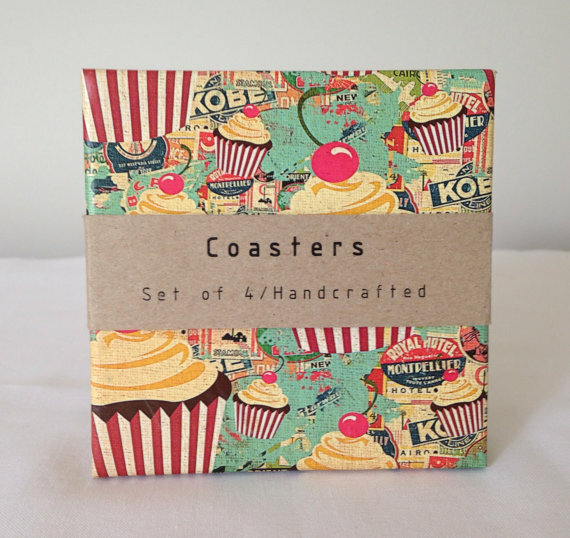 These cupcake coasters have me squeeing with delight. They’re so fun and cute I just want to cuddle them and eat them simultaneously. Also available in a set of 6 if you contact Floral White Studio. 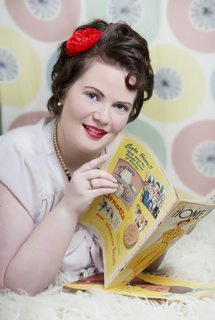 Hollie Flavour test: handmade, vintage/retro inspired, cute, cupcakes. 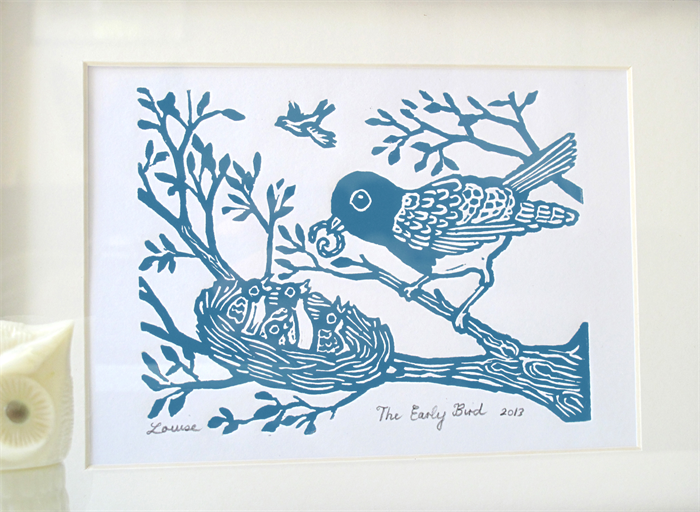 I can’t picture which wall I want to hang this gorgeous lino print on. The depth and character of this print is simply marvellous. I think I’d like to hang it in our bathroom, but then I’d like it in our living spaces too. It’s also available in black from Drawstring Handmade. Hollie Flavour test: handmade, bird, blue, art. 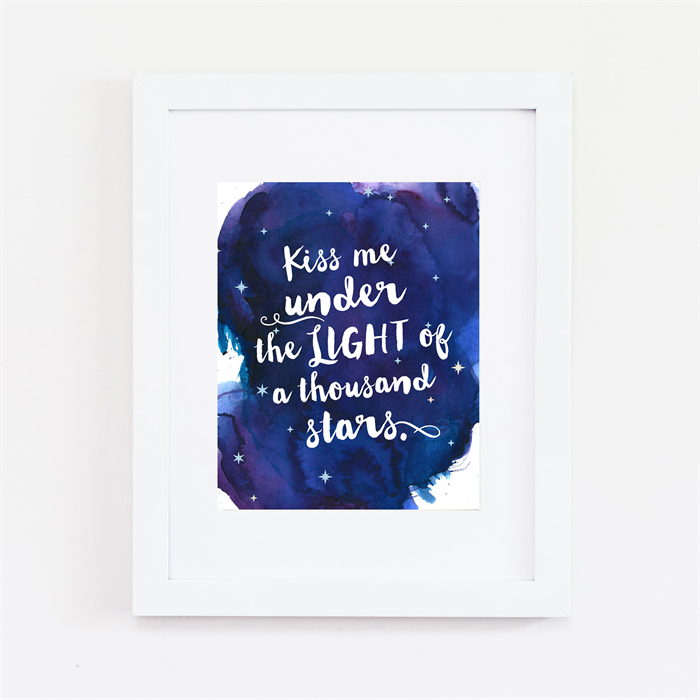 Kiss me under the light of a thousand stars. My heart skips a beat every time I see this print. I really must purchase it. It would go in our bedroom, along with another one from Love a Rhino. Hollie Flavour test: handmade, typography, blue, love. 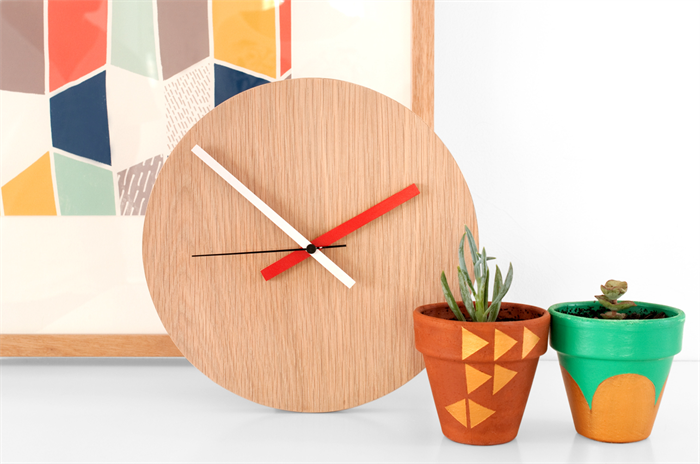 Easily paired with modern geometrics like above, or in a house filled with Eames era furniture, this natural wood clock will turn heads wherever it is. I could see it above our kitchen table. Available from Senkki Furniture. Hollie Flavour test: handmade, retro/vintage inspired, natural, timber. Hands down my favourite type of magnet: round magnets get the job done without taking up real estate or covering up important information. 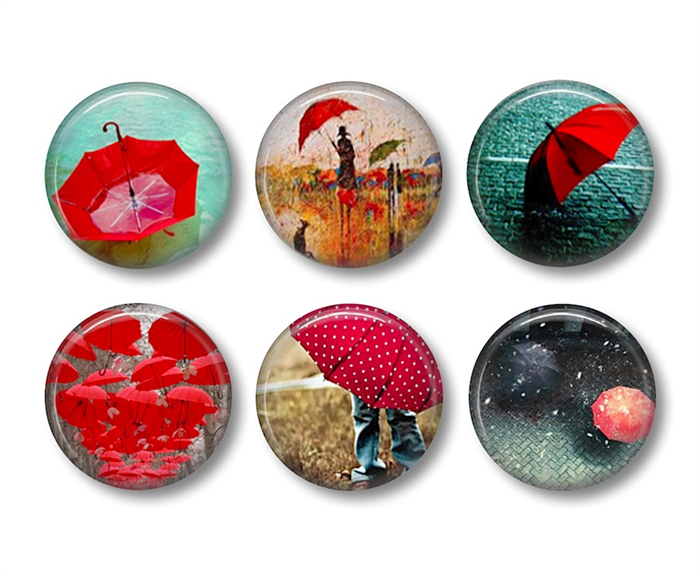 I love these magnets not only for their roundness but also the fact they feature umbrellas. Red umbrellas too. Check out Badge Bliss for these and others. Hollie Flavour test: handmade, red, umbrellas, round magnets. The maker behind Resinating is very clever! I’m making a massive assumption here, but in my mind, they’ve cast a mould from a crystal or glass vase to pour their resin into. Crystal and glass diamond cut vases look spectacular with blooms in them, but could you imagine how gorgeous this one would be? 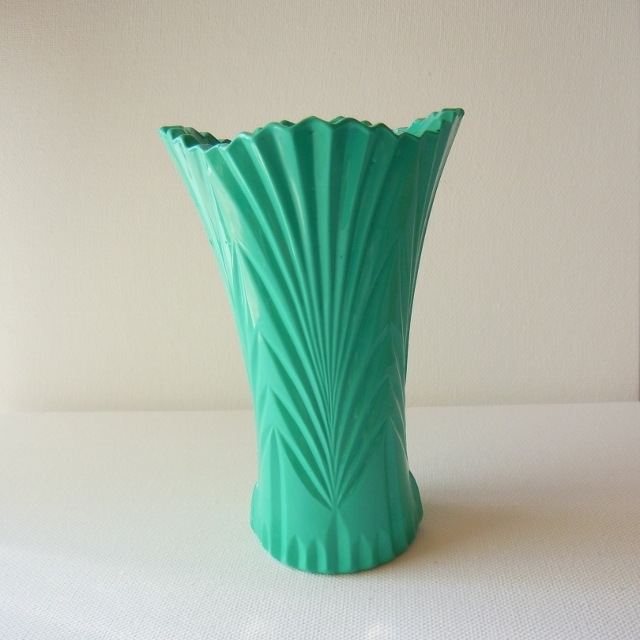 Hollie Flavour test: handmade, vase, colourful, vintage inspired. My favourite Disney film has an all important umbrella featured in it. Can you name my favourite Disney film? ← And we’ll never be lonely any more….